Caleb Banta-Green is scientist and epidemiologist at UW's Alcohol & Drug Abuse Institute. "Drug-caused deaths were up in 2013. Pharmaceutical opiates (e.g. OxyContin, Vicodin, methadone) were the most common drugs detected, although down from their peak in 2009, and heroin deaths have doubled to 99 in 2013 compared to heroin deaths in 2009,” said Caleb Banta-Green, senior research scientist at the University of Washington's Alcohol & Drug Abuse Institute and the report's lead author. The King County Drug Trends Workgroup Releases an annual report on substance-use trends each year. Findings for last year were presented in June at the National Institute on Drug Abuse’s Community Epidemiology Workgroup. Among adults 18-29, heroin use has increased, as has treatment facilities' admissions for heroin use during the span. Methamphetamine abuse persists as a major impetus for those entering treatment, and increased deaths in 2012 and 2013 may be linked to an increase in use of those drugs coupled with heroin. Heroin use continues to increase in King County and statewide; young adults are a major population of concern. Heroin-involved deaths among those under 30 has increased from seven in 2009 to 34 in 2013. Across all age groups, those deaths increased from 49 to 99, respectively, during the span. Methamphetamine indicators are up, as are indicators of combined use with heroin. Methamphetamine in police evidence tests increased for the consecutive third year, though the numbers were well below the level of 2001. Approximately one-third of those who reported any use of methamphetamine at treatment admission also mentioned heroin use, a substantial proportional and numerical increase since 2005. 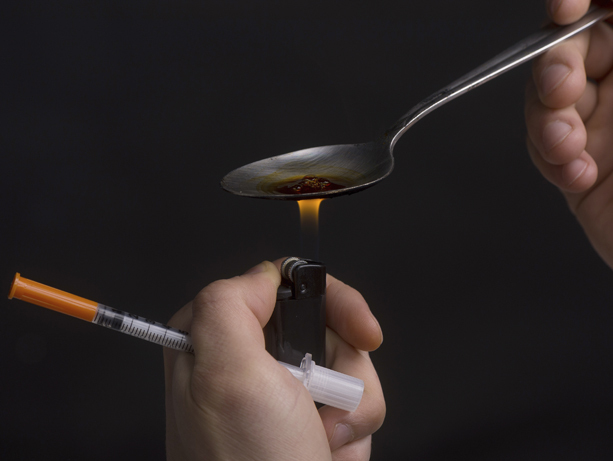 Deaths involving heroin and methamphetamine together increased substantially in 2012 and 2013. Pharmaceutical opioids remain the most common drugs identified in drug-caused deaths – 125 total in 2013 – though for the past few years the level has been approximately 25% lower than the peak in 2009. Treatment admissions with pharmaceutical opioids indicated as the primary problem declined somewhat in 2013. While marijuana use is widespread, indicator data are down. Police evidence for people testing positive for marijuana is down substantially from the peak in 2009 and treatment admissions for marijuana have declined for the fourth year in a row. More police evidence tests were positive for methylone than MDMA (“Ecstasy”) in 2013 for the first time, with methylone first appearing in substantial numbers in 2011. Methylone is similar to MDMA in its chemical structure and its physical and psychological effects. Users believe that “Molly” is pure MDMA, however police-tested evidence has often turned out to be methamphetamine or methylone. Overdose prevention education and take-home naloxone (also known as Narcan, an opiate overdose antidote) distribution are increasing across Washington via syringe exchanges, clinician prescriptions, pharmacist-direct dispensing and jails. Among heroin injectors surveyed in King County in 2013, 28% had take-home-naloxone in their possession in the prior three months. Overdose education and a naloxone locator are available at stopoverdose.org. The King County Drug Trends Workgroup includes diverse local experts on substance use including people working in street outreach, law enforcement, public health, treatment and other service providers. A copy of the full report is available online: http://adai.uw.edu/pubs/cewg/CEWG_Seattle_June2014.pdf. Editors: To interview Caleb Banta-Green, contact Kim Blakeley, 206.685.1323, krb13@uw.edu.